Walhalla Victoria is a step back in time. Back to colonial times in Australia when dreams were being chased and riches were sought in the search of gold. Walhalla is one of those places that we visit at least once a year. Walhalla Victoria is located in the mountains of central Gippsland and is one of the best things to do in Gippsland. There is one road in and one road out of this hidden little gem of a township. Walhalla Victoria is 183 kilometres and two hours east of Melbourne. What you will find in Walhalla is a village that time has passed by. Walhalla was at its peak from 1863 until 1914. Walhalla and the surrounding area were one of the most prosperous gold areas in Australia. 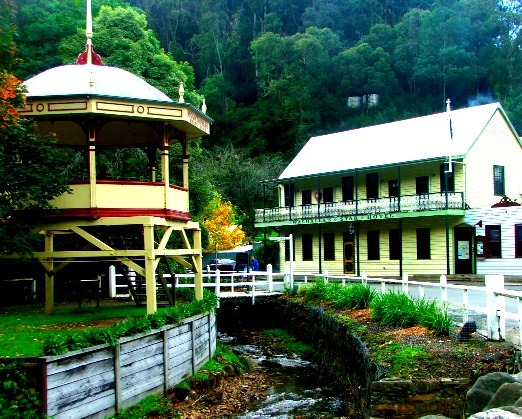 In its prime, Walhalla Victoria peaked with a population of over 3000 people. Walhalla supported 10 hotels, 7 churches, several dance halls, a school with more than 500 students and over 30 shops. What a sight Walhalla would have been in its prime. Walhalla’s setting in the Gippsland mountains encompasses the rugged Australian bush and relics, old and restored of colonial times when a young nation of Australia was still finding its feet. 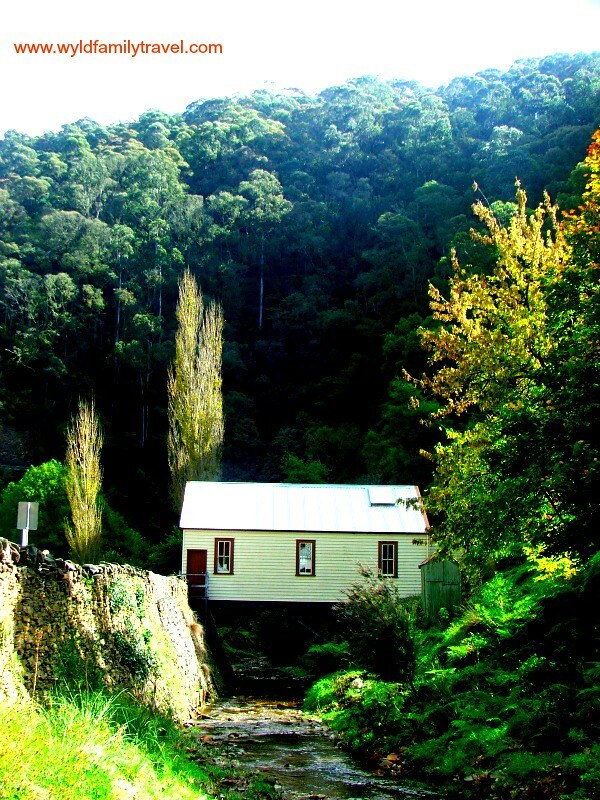 Walhalla Victoria lies in a picturesque narrow valley that afforded very little flat land. Early settlers in Walhalla had to build vertically on the sides of the hills. Walhalla’s iconic cemetery sits at a 45-degree angle on the side of a hill with more than 100 graves scattered throughout telling the story of hard times and hard lives that were carved out on the gold fields and in the old mines. Like all colonial gold fields, Walhalla’s gold rush came to an end in 1914 when the mines of the area closed, Walhalla’s decline was complete. For the next 70 years, Walhalla was forgotten with the bush slowly reclaiming the area as the remaining house’s either fell apart or burned down. In the early 1990’s many of the homes and shops started to be rebuilt to make the township that we see now and the old mines were opened. The old mines are now some of the best Gippsland Attractions. The Walhalla Victoria we see today has less than 20 full-time residents but attracts more than 100,000 visitors every year despite being underfunded by the State Government of Victoria. We love Walhalla I love the peace and quiet of it, I love that it makes you feel like you have been transferred to another time a more simple and less complicated time. 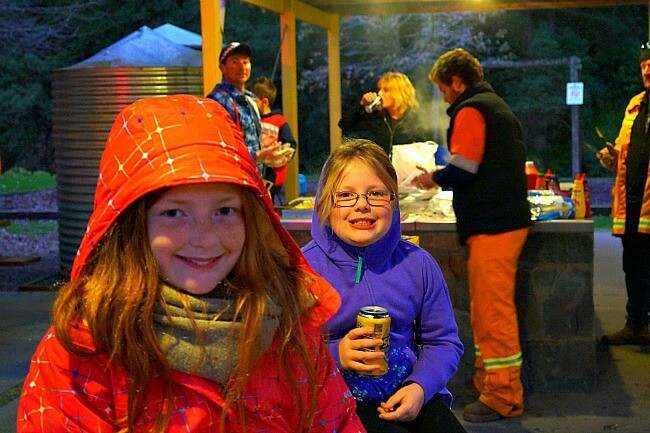 I love having BBQ’s in Stringers Park with the sound of the creek nearby and the view of the mountains rising above the old town shops that line the only street in town. Willow and Marley love going to the lolly shop where they sell old fashioned boiled lollies and rock candies that are handed over by the shopkeeper in her traditional clothes from the period. The Wally Pub is great little drinking hole, serving cold beers, wines, and meals. Stopping at the Walhalla Hotel is a must when you visit! 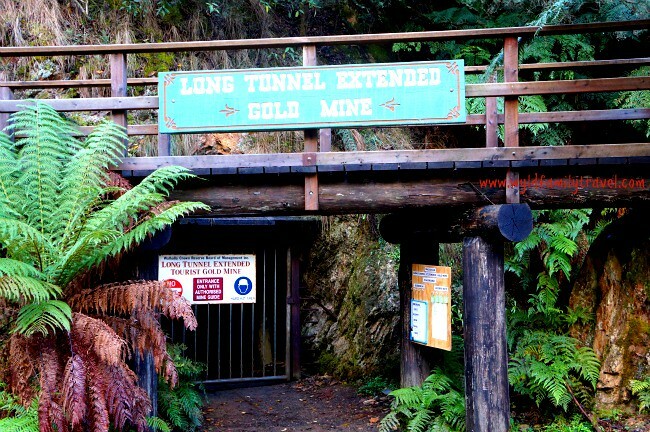 The Long Tunnel Gold Mine: A 45-minute tour of the old mine is available. In its time over 13 tons of gold was removed from this mine. 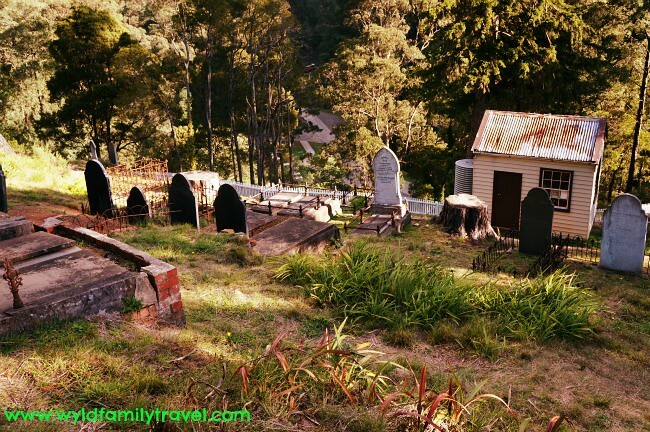 Walhalla Cemetary: 1100 Graves on a steep hill tell the story about life on the goldfields. Walhalla Victoria continues to try its hand at attracting the tourists. In the last few years, it has started staging a Vinter Ljusfest. The fest is a spectacular of lights, sounds and moving images that roll across the old building of this town. It is on a small scale and we attended this year because we like to support the local Gippsland tourist attractions. The event seemed to be well attended by the number of people walking around town enjoying the sights, sounds and food that was on sale.The Ljusfest Ball is the highlight of the month-long festival for some. A theme is chosen and the ball is held in the old town hall. This year they were celebrating all things German with a beer hall theme. The winter ball would be amazing to attend with friends hire a bus and head for the hills. The Local Lions club hold a bbq in the park selling sausages, the shops sell hot chocolates and it gives a different perspective walking the town in semi-darkness. Beyond Walhalla is the Thompson Dam and the mountain wilderness region. You will see many 4WD’s passing through Walhalla heading for these regions to camp, fish, hike, and hunt. You will find amazing mountain views, abandoned gold sites and isolated mountain pubs where you can enjoy a beer. Amazingly so Walhalla has free camping in the town and you will often find tents and caravans set up on the side of the road just short of the main town area. Being a mountain district and situated in a gully the sun quickly sets as if it is being stamped out by the tree’s and the mist rises as the cold night air sends a chill down your spine. Walhalla is located east of Melbourne via the Princes Highway. Follow the signs from Moe. 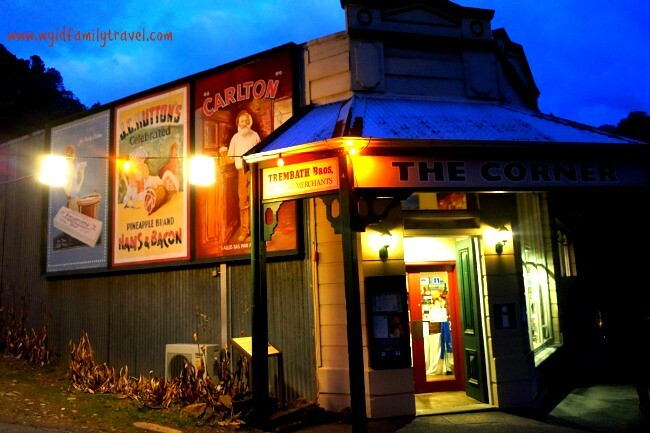 Allow 2.5 hours from Melbourne to reach Walhalla and don’t forget that cold drink at the Walhalla hotel! What a cool place to explore. I’d love to spend months wandering Australia. Thanks for commenting we appreciate. Seems like stepping back in history – such places are always a wonderful trips! thanks for commenting Monica we appreciate it. When I read the title I nearly laughed out loud. There is a small town of the same name tucked away in the upper corner of my state — south carolina.–and the same could be said about it. Australia is inching further up my must of places to go every time I hear of somewhere cool like this. I visiting Western Australia last year but have big plans on returning and exploring much more of the country. Walhalla sounds like such a fun town to explore. Thanks for sharing. Thanks for commenting we appreciate it. I have never been to Western Australia did you enjoy it?. Wow, what a wonderful place. I am sure it would be fun to spend sometime here. Sharing on Twitter. I could see us spending quite a bit of time here…..looks spectacular. I guess its really peace by looking it. and surely i wanted to visit this place walhalla-the-town. Walhalla is such a beautiful old town. I hope you do get there one day and get to stay a few nights to really experience the place. There are some great hikes around there and a train ride that is pretty special. Thanks so much for taking the time to leave a comment and we hope you have a brilliant day.